Ask any business owner what makes his (or her) business better than the opposition, and all too often the answer is either superior service or a more effective solution. But, what if it was actually the way that you run your business processes? Businesses know they have to be agile. They also know they have to be digital. In fact, businesses have been digitally transforming for a decade. However, despite this, 68% of all business processes remain largely manual, according to research by McKinsey and Company. And the bigger the organisation, the more true this is. Smaller businesses are inherently more agile and find it easier to implement digital transformation across its people and processes. But the introduction of big data and artificial intelligence to process automation is reshaping the future of business process automation. The next evolution in business process management is intelligent process automation and it's impacting every single employee and customer interaction. This is being achieved by automating, orchestrating and optimising every business process in the modern workplace. 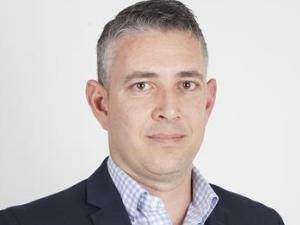 Stephan Gous, SWECA Territory Manager at Nintex, says: "IT departments are finding it increasingly harder to drive digital transformation and employees are starting to take charge of automating the business processes that they work with." According to IDC, in 2017 business spent over $150 billion on software compared to the $64.7 billion spent by IT departments. "That's more than double," says Gous, "underlining the drive by business to take responsibility for its own technology decisions." However, in very much the same way that 'bring your own device' disrupted how businesses managed their technology, 'buy your own software' is proving similarly disruptive, as all too often, there's no integration between the different processes in different departments. Gous says businesses are moving increasingly away from buying boxes and towards solutions that can integrate processes across the business. 'build' not 'buy'. The solution to this quandary is intelligent process automation, where various smart technologies are brought together to automate all business processes across all divisions, while still being tailored to each division's unique requirements. Gous concludes by advising: "Any intelligent process automation platforms should be intuitive so that everyone in the business is able to use them, intelligent enough to automate all of your workflows, and integrated across your business. It's about humans and machines being able to work together to automate and optimise all of your processes." Download the Nintex white paper on intelligent process automation here.